While the Chief Cyril Ogodo-led faction in its State Working Committee meeting adopted direct primary to choose candidates in line with the Adams Oshiomhole-led NWC’s decision, the other faction led by Jones Erue chose indirect method. APC has been embroiled in crisis after factions held parallel congresses in Delta. A former National Chairman of the APC, John Odigie-Oyegun, inaugurated Ogodo as the state party chairman. Ogodo has the support of Olorogun O’Tega Emerhor and Chief Hyacinth Enuha, including the majority of the state governorship aspirants. However, Oshiomhole, upon assumption of office, inaugurated Erue as chairman backed by Senator Ovie Omo-Agege and Chief Great Ogboru. Since then, all efforts to reconcile the two factions had been futile. 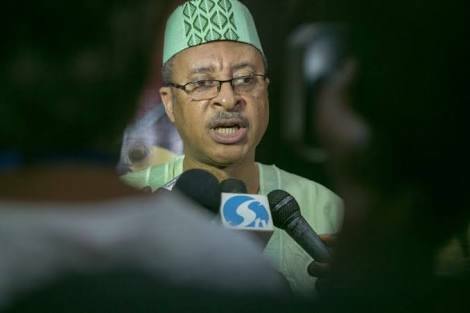 The Punch gathered that a frontline governorship aspirant, Prof Pat Utomi, staged a walkout from the Erue-led faction meeting for endorsing the indirect primary contrary to the decision of the party leadership. In a communiqué issued at the end of the meeting in Asaba, the faction commended the party leadership for its decision to entrench internal democracy in the party through the use of direct primary to choose its candidates. However, the Erue-led faction chose indirect primary at its meeting. It added that it took the decision due to the heightened security situation in the state and to avoid a repeat of the tension during the last congresses that led to the death of a ward chairmanship aspirant in the Ughelli South council area.